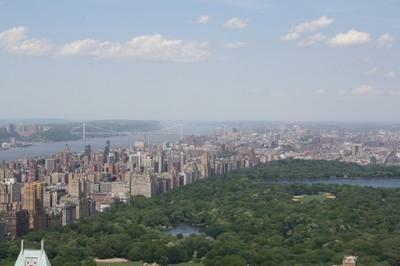 New York City is 309 square miles. 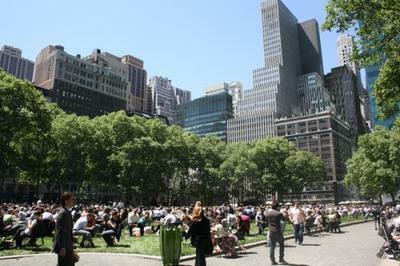 After the 2011 census it was revealed that New York City has 8.24 million residents. 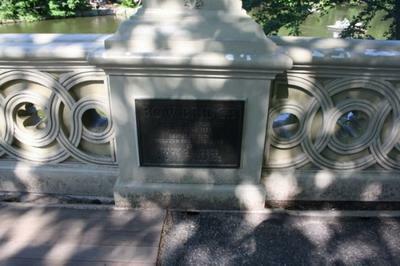 Pretty much every language is spoken in New York, but the most widely spoken language is English. The currency is the US dollar. Where can you find New York’s finest architecture? 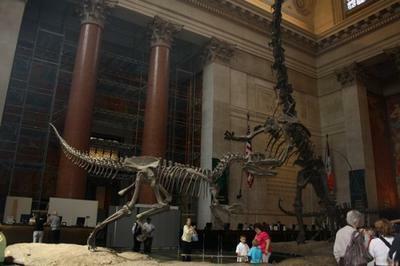 All of its most instantly recognisable buildings, namely its skyscrapers, are in Midtown Manhattan. 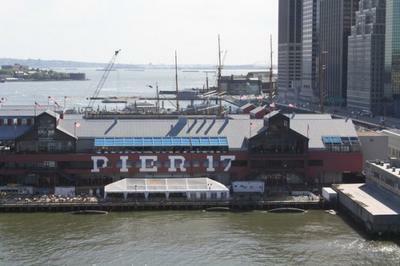 Sadly, two of its best known buildings are no more, but not far from where they used to stand tall is the Brooklyn Bridge. 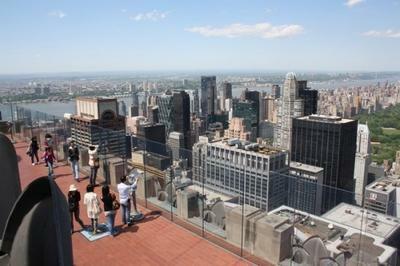 Walk over it for a bird’s eye view of Manhattan’s illustrious skyline. 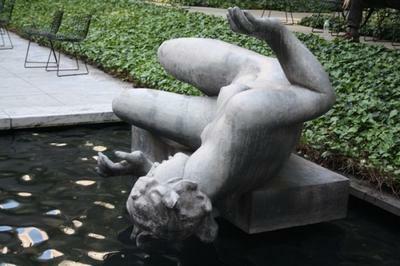 On average, how much does it cost to get into New York’s top museums? If you want to go googlie-eyed in the Guggenheim or be mesmerised by the Met, you’ll need to have more than $20 in your back pocket as that’s what it costs to get in to most museums in New York. What really shouldn’t be missed? All the free things. Not only because they’re free but because they’re actually all unmissable. 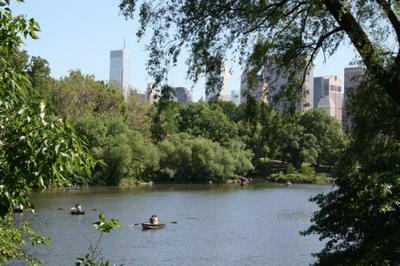 This includes a stroll across the Brooklyn Bridge, a trip on the Staten Island ferry, an afternoon in Central Park and the chance of putting your face on the big screen in Times Square. Manhattan isn’t all skyscrapers. Down in the Village you’ll see that many buildings are surprisingly low-rise. Is it expensive to go out in New York? Yes and no. On any given night of the week you can pay anything between $3 and $8 for a beer (pint or bottle). Then you have to add another dollar or two to that for tip. Ask any New Yorker where the cheapest part of town is and they’ll point you towards the East Village. The Village is where it’s at, both east and west. This is the part of the city in between 14th Street and Houston Street. The west part of the village is Greenwich Village and the East Village is just the East Village. Over in the east, Ludlow Street and Staunton Street are dotted with bars, while the west has Bleecker Street - those streets which branch off it are the busiest. Absolutely. Some doormen will ID you regardless of how old you look. Always carry some form of ID with you, preferably your driving license. There’s no better place on the planet to go to the theatre than New York. At any time, you can find all the world’s best known musicals showing on Broadway. Tickets can be pricey, though. If you get your tickets on the same day of performance from the TKTS booth in Times Square you can get them at discount rates. Otherwise there are cinemas all over Manhattan. Then there is always basketball and baseball to see. Remember to tip with every beer. This means $1 per beer which should increase with the size of the round. So if you're getting three or four beers tip $2 or $3. Is it expensive to eat out in New York? Just like going out, eating out in the Big Apple can be either very cheap or very expensive. You’ll have no problems stuffing yourself for less than $10. Mains cost anything between $8 and $20. ‘Subs’ from New York’s celebrated delis cost around $6. When funds are running very low you can always count on a hot dog from one of the numerous stands for no more than $2. Unsurprisingly, Chinatown and Little Italy have many restaurants, while there are some really cool places to eat in Greenwich Village. You should be able to feed yourself on $10. When you are really broke you can always rely on the hot dog stands. Seventh Avenue is lined with delis. 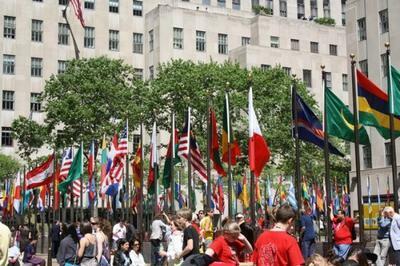 New York is home to so many nationalities that every possible style of cuisine is represented. Restaurants will generally take their last orders around 10pm or 11pm, but there are pizza joints open through the night. You can’t smoke in New York’s restaurants so make sure not to light up after your meal. How many different modes of public transport are there in New York? Four – bus, subway, ferry and taxi. The subway is great for going up and down Manhattan but not across it. That’s when buses come in handy. 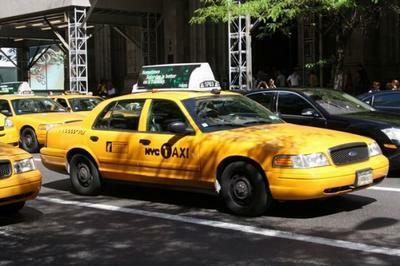 New York’s omnipresent yellow taxis start at $2.50 for the initial fare and increase steadily from that. They never cost too much. To save a few dollars get yourself on to the avenue where you are going and then hail down a cab there. Is there one ticket which covers both buses and subways? Yes, Metro cards are valid on both buses and subways. 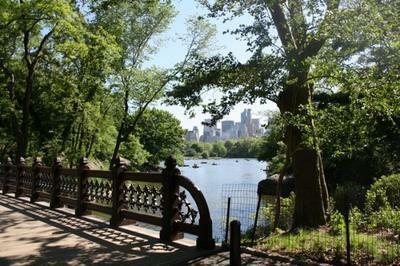 If you plan on staying in New York for anything longer than three or four days, buy a Seven-Day Unlimited card for $29. 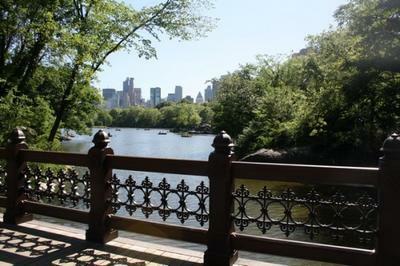 Here are our suggestions of five free things to do in New York City so you can enjoy this great city while sticking to your budget. 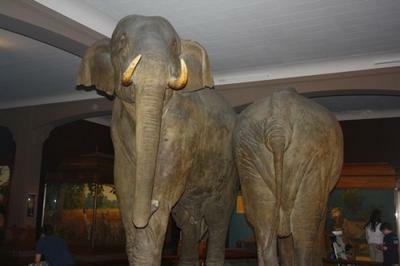 Here are Hostels.com Five Free Things to do in New York City! 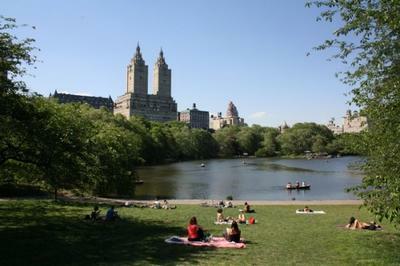 Often referred to as the Lungs of the City, Central Park is the best place to be on a sunny day in New York. 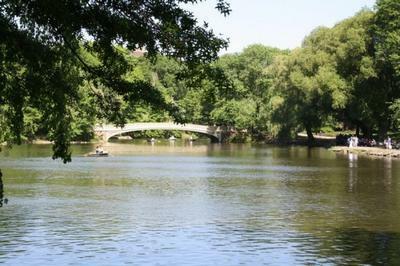 This Manhattan public park is huge and has so many different attractions and areas covering over 840 acres. 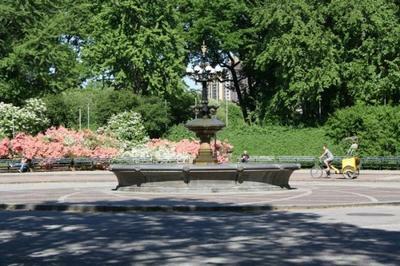 You can access Central Park from all sides and spend anything from an hour to a whole day enjoying all aspects of the park. 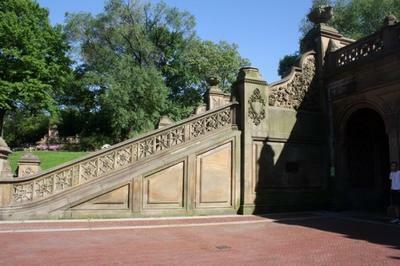 While you’re there check out Sheep Meadow, The Mall and Literary Walk, and Bethesda Terrace and the passage way underneath it. 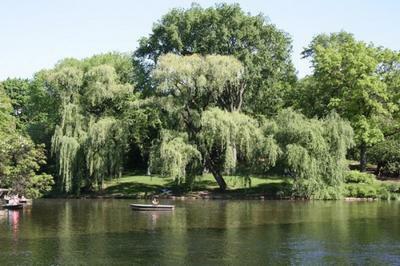 You can also take to the water in the lake by hiring a boat out or just sit back and enjoy others rowing around the lake. 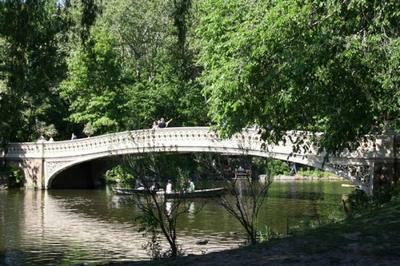 The Park is also full of bridges including the famous Bow Bridge. 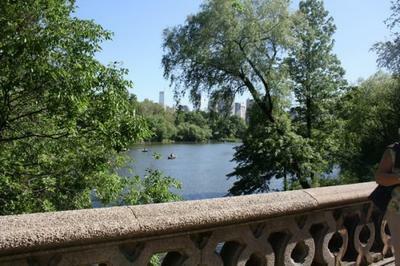 Central Park is a popular spot for joggers, as well as those just looking to sit back and take it all in. Even if you’re not planning on taking a train out of New York, a visit to Grand Central Terminal should be on your list of New York sightseeing. 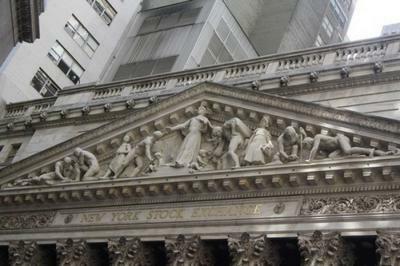 Located at 42nd street and Park Avenue in Midtown Manhattan, Grand Central Terminal is the USA’s most famous Terminal and it is also steeped in history. 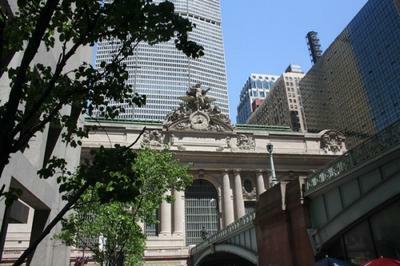 There are architectural and artistic wonders throughout Grand Central Terminal and you can avail of tours of the Terminal, some of which are free. 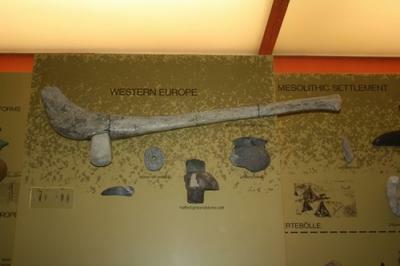 You can also take a self guided tour if you know what to look out for. Some points of popular interest include the four sided clock in the main concourse which is often used as a meeting point, the two grand staircases which started off as only one, the Oyster Bar Ramps and the whispering gallery. And not forgetting the amazing Sky ceiling in the main Concourse which is a great astronomical mural. If you want to see Manhattan from a distance and take a boat trip while you’re at it, then take a trip on the Staten Island Ferry. 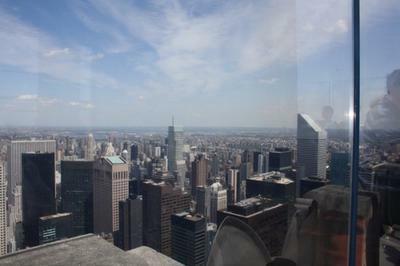 This is a great free thing to do in New York and is the ideal way of taking in the Manhattan skyline. 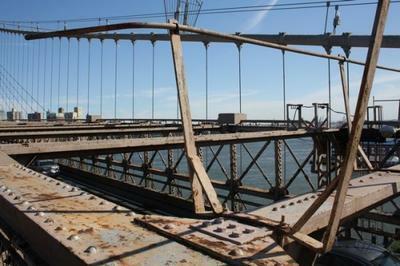 It’s also a perfect way of getting a close up view of the Statue of Liberty and Eillis Island for free. The Staten Island ferry runs 24 hours a day/ 7 days a week and you can catch it from lower Manhattan at Whitehall Street, also known as South Ferry. This boat ride lasts around 25 minutes each way and you can make your return trip to Manhattan from St George Ferry Terminal on Staten Island after you take in some stunning views. 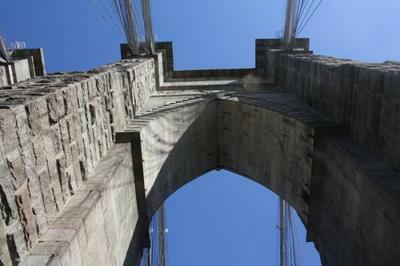 The Brooklyn Bridge is one of New York’s iconic sights, as well as one of the city’s top attractions. 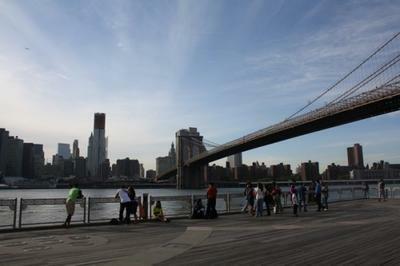 A popular and free thing to do in New York City is to take a walk across the Brooklyn Bridge. This beautiful walk across one of the USA’s oldest suspension bridges is a popular thing to do for free for both locals and tourists. 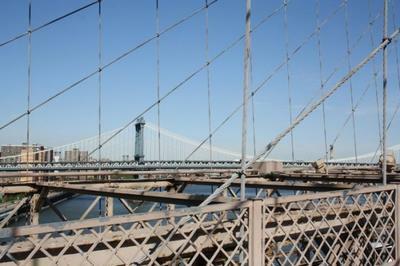 The walk across the Brooklyn Bridge takes about 25 minutes each way. You can take in some amazing views of the New York skyline as you walk across the bridge and also of the bridge itself when you get to the Brooklyn Heights promenade. 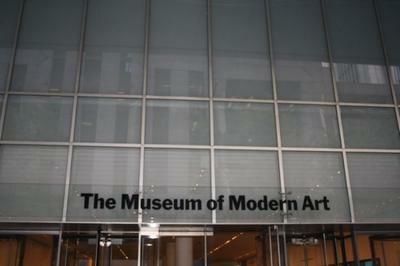 Take a walk around Midtown Manhattan to take in some of New York cities top attractions. 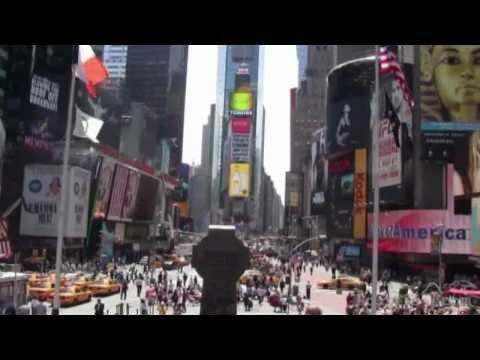 Times Square is a major intersection in Manhattan at the junction of Broadway and Seventh Avenue. 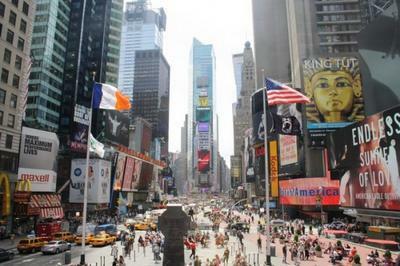 Nicknamed ‘the crossroads of the world’ Times Square is a world famous landmark in New York City. It’s always busy in Times Square with shoppers, tourists and those just sitting back on chairs or the steps just watching the world go by. And just off Times Square you will find the world famous New York theatre district of Broadway. 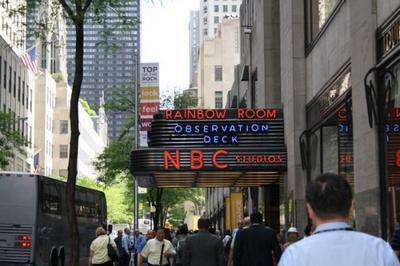 Not too far from Times Square you will find another New York landmark – the Rockefeller Centre and Plaza. And across from here you will find Radio City. 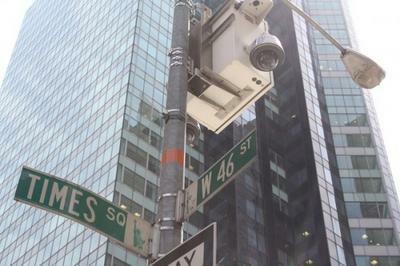 From here you can make your way to Fifth Avenue where you can stop off at the beautiful St Patrick’s Cathedral. You can then walk down one of the most famous shopping streets in the world taking in all the shops and attractions including the Empire State Building and the Flatiron Building. Getting a good bite out of The Big Apple! For some tourists their number one priority when visiting a new city or country is to come back with a suitcase full of new purchases!